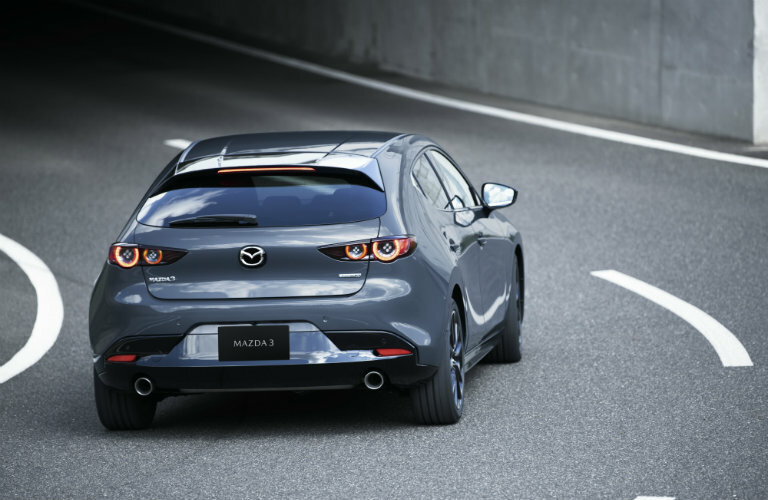 Home » Mazda » What are the 2019 Mazda3 hatchback specs? Introducing the all-new 2019 Mazda3! The world got its first look at the new model at the 2018 Los Angeles Auto Show in November. Since then, the automaker has revealed a few more details about the sporty 2019 Mazda3, including some official specs prior to the model’s 2019 release date. Like in previous years, the 2019 Mazda3 will be available in both sedan and hatchback models. While the sedan model is sleek and sophisticated thanks to Mazda’s KODO design language, the 2019 Mazda3 hatchback kicks things up a notch with even more dynamic styling. Put the hatchback and sedan models side-by-side and you will notice striking visual differences between the two that make each unique. Read More: What is the difference between the 2018 Mazda3 sedan and hatchback? What is new on the 2019 Mazda3? There are a variety of exciting updates to look forward to on the 2019 Mazda3. The Mazda3 has changed significantly over the years since it first hit the U.S. market in 2014 and the 2019 model is no different. In fact, both the sedan and hatchback models receive a variety of technologies that are new to the Mazda brand, including a new engine, all-wheel drive and a new M hybrid system coming later in 2019. Are you interested in learning more about the new 2019 Mazda3? We invite you to contact our team here at Maple Shade Mazda to be added to our mailing list so you can receive all the latest updates on this new model. Or, be sure to check back regularly for all the newest information. Stay tuned! This entry was posted on Thursday, December 27th, 2018 at 10:32 pm	and is filed under Mazda, Mazda3, Mazda3 Hatchback. You can follow any responses to this entry through the RSS 2.0 feed. You can skip to the end and leave a response. Pinging is currently not allowed.